Property Location Located in New Haven, Millers Landing Bed & Breakfast LLC is on a river, minutes from Pinckney Bend Distillery, and close to John Colter Memorial and Visitors Center. 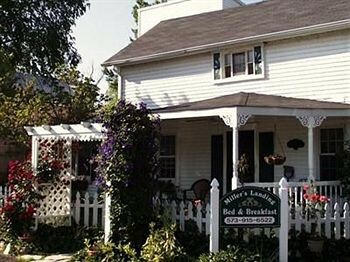 This bed & breakfast is within the region of Roebller Vineyard Winery and Bias Winery.Rooms Make yourself at home in of the guestrooms, featuring kitchenettes with refrigerators and microwaves. Complimentary wireless Internet access keeps you connected, and flat-screen televisions are provided for your entertainment.Business, Other Amenities The front desk is staffed during limited hours.